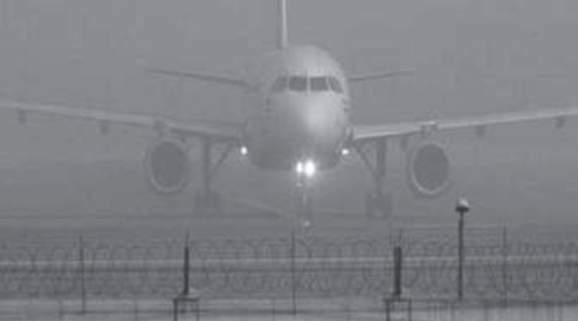 ONI Bureau: Flight operations were disrupted at the Biju Patnaik International Airport in Odisha Capital today due to low visibility triggered by the dense fog in several parts of the State. Operations of 6 flights were impacted on Saturday morning, an airport official said. While Bhubaneswar-Delhi Indigo flight has been diverted, Air India Bhubaneswar-Delhi flight, IndiGo flights including Kolkata-Bhubaneswar-Guwahati, Chennai-Bhubaneswar-Bengaluru, Kochi-Bhubaneswar-Kochi & Kolkata-Bhubaneswar- Mumbai have been delayed due to intense fog at the Bhubaneswar Airport today morning. Normal movement of vehicular traffic was affected and minor road accidents also been reported at many places in the State due to thick blanket of fog.